Fishing is way above par for early March in the Sea of Cortez. Sea surface temps have been in the 73-77 degree range across our fishing grounds for the past several weeks, and the 2016 fishing season has started off with a big bang as a result! Leading the way are excellent numbers of striped marlin, with boats in our fleet reporting multiple shots at billfish per day, and 2-3 marlin caught and released as “an average day.” Most fish are being teased to the surface with trolling lures, but quite a few fish are being spotted “tailing” or cruising on the surface and are being caught on pitched baits as well. As a bonus, striped marlin are ranging far and wide across our fishing grounds, so most boats aren’t venturing far to contact hookups. Good numbers of marlin are being reported just a few miles offshore from La Ribera. 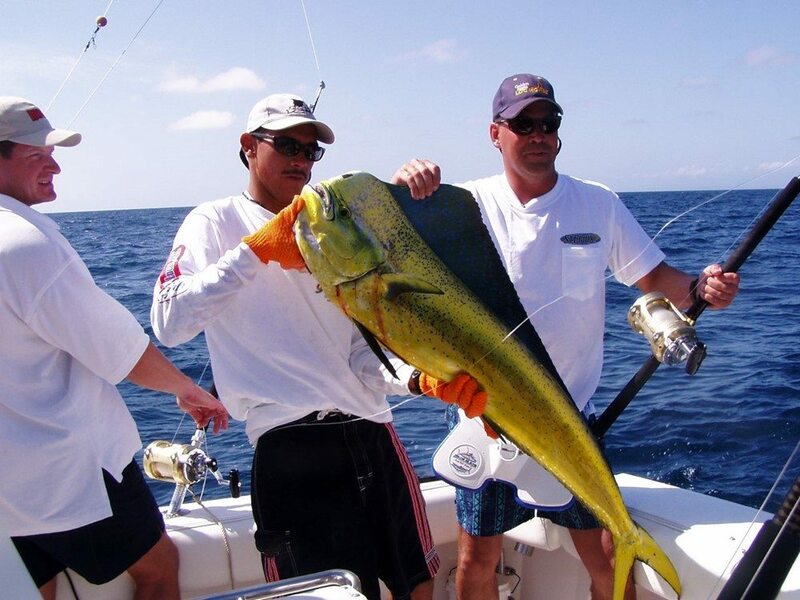 We’ve seen decent action for dorado already this year, with occasional fish in the 20-25# class, but most of the mahi-mahi are little “chickens” in the ten-pound range. While it’s a long run south to contact the schools, some yellowfin tuna in the 10-20# class are being caught near the Gordo Banks. Additionally, some roosterfish are starting to show up around the new marina on the south shore of Bahia de Las Palmas (“The Bay of the Palms”). Lastly, fishing is excellent for numbers of sierra mackerel inshore. With such a strong start to the early fishing season, it bodes well for a fantastic 2016 sportfishing season on the East Cape!